The cutting or chipping wood in a sawmill is a high-speed process that presents extreme conditions. In addition, it generates a large amount of dust that can increase chain wear. Due to the shock loads generated in operation, Tsubaki recommends its Heavy Duty Chain Series, which offers increased strength to tackle demanding loads. 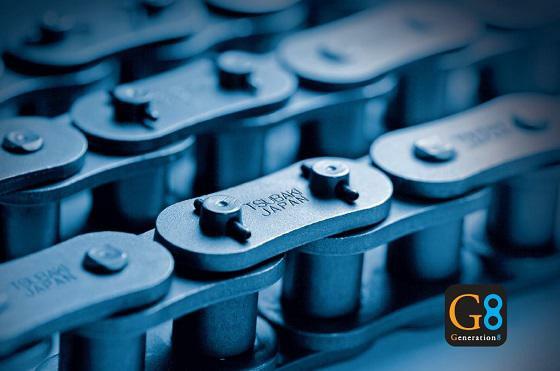 Produced from steel materials of the highest quality and based on the proven ANSI chain, the Heavy Duty Chain Series offers the durability to enable reliable sawmill operations. Variances across the range incorporate thicker link plates for greater fatigue strength, solid bushes for increased wear life, through hardened pins and link plates, ring coined link plates and Lube Groove Bushes to provide increased lubrication if required. This versatility of specification ensures that no matter the load demands of your mill, we will be able to provide an exact engineered solution. All variants in the Heavy Duty Chain Series are designed to provide the maximum possible service life, offering a high resistance to wear due to dust or elongation due to prolonged use.